Get Lost Mirrored Motorcycle Glasses Review: Are They A Good Fit For Your Needs? Having good eyewear not only makes for a great motorcycle ride, it’s an essential part of basic motorcycle safety. Catching a bug underneath your sunglasses can be dangerous to you and those in your path. And there are a lot of bugs out at night. We think that these goggles got you covered on your next night ride. In this review of the clear motorcycle riding goggles by Get Lost Helmets, we will explore the features and benefits of owning them, and the things to consider before you make a purchase. Are they durable? Are they going to be a good fit for your needs? What is the best use of this product? We will cover these questions to help you decide if this product is right for you. 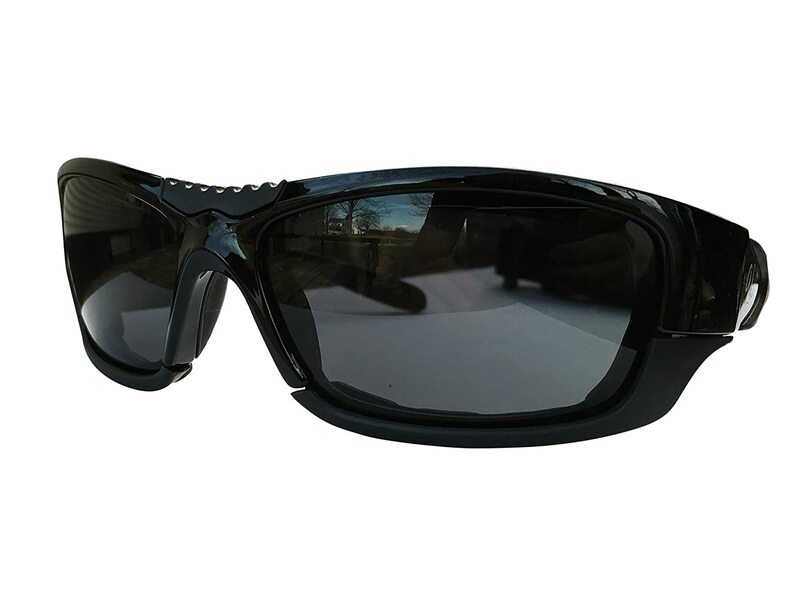 If you are tired of bulky motorcycle gear but want to keep your eyes protected, then this is exactly what this pair of goggles was designed for. These goggles eliminate the need for bulky gear and offer great eye protection. They also offer style and the ability to free your face from bulky face shields. These motorcycle goggles claim to be able to fit just about anyone's face. They are supposed to fit children and adults alike. They also are designed to prevent the red ring that you would normally get from wearing these styles of goggles. Another great point is that they so look fairly stylish so you good when wearing them. The weight of the goggles is about 4 ounces or 0.113 kg. The goggles have a black frame with clear lenses. They are made of the most durable materials rather than foam so that they do not break and deteriorate as the others may do eventually. Curved design helps the goggles fit the wearer's face whether they are an adult or a child. The product dimensions are 6.8 x 3.5 x 1.6 inches. The goggles are designed to be crush and scratch resistant so that they can be packed in luggage or carried in your pocket without damage. The product comes with a soft carrying case and a cleaning cloth. These goggles work pretty well, but they don't offer a great deal of protection. They do protect the eyes but if you need face protection you probably need something more substantial. The product is comfortable on the face and the fact that they don't leave deep red marks on your face after wearing them is a big plus. Overall, they are a good purchase if they fit your needs and they do a good job of keeping out the wind as well. They do tend to fog up however and they don't have much cushion around they eye so that is something to be aware of before you make a purchase. The price on these goggles is better than average so that is a big plus. You can also use these goggles for other activities other than motorcycle riding. You may have been considering buying some motorcycle goggles and wondered if the Get Lost mirrored goggles may be the right choice for your needs. You may wonder what the benefits of owning them would be and in this review, we will be taking a look at all of the information you need to know about this product before you make a decision. We will cover things like their intended use, weight, color, and style. You may be changing direction with your riding gear to incorporate a less bulky theme and this is where goggles can be a big plus. 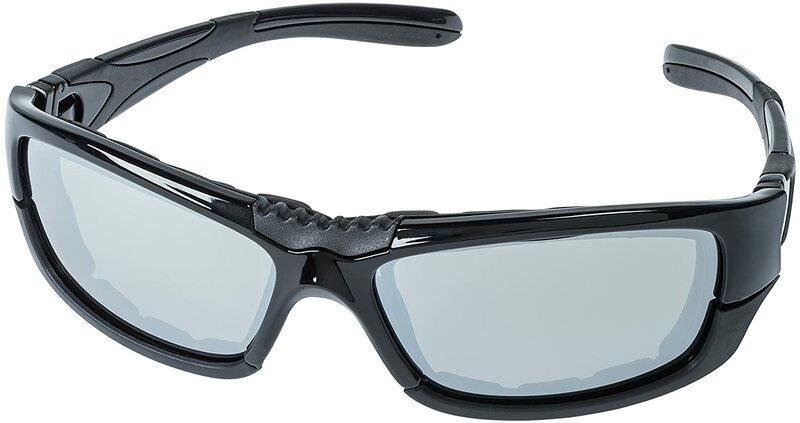 If you are tired of all of the weight and lack of maneuverability then you might want to consider this style of eye protection. They also tend to look a bit better as far as style goes so if that is a selling point then you also might want to check this brand of goggles out for a possible purchase. Mirrored lenses that will help block out glare and keep you looking sharp. They also are designed to filter out very bright sunlight. They have curved edges that are designed to keep out the wind, dust, and anything else that might be airborne when you are riding. Foam padding so that they rest easy on your face to prevent irritation and discomfort. Removable arms allow you to swap them out for the head strap which can keep them on your head more securely. Useful for other types of transportation and activities including snow related transportation and water sports. The product weighs 2.4 ounces or 0.068 kg. The dimension for the goggles is 6.7 x 2.6 x 2.2 inches. They are very light weight so they are more comfortable. The goggles are black so they go with pretty much anything. If you are in the market for some inexpensive and versatile goggles for riding or other outdoor activities then these may be the right choice for you. The offer has less protection than a shielded helmet, so that is important to keep in mind if you are changing your style of gear. I like the fact that they have removable arms because you can attach the strap to keep them securely on your head or you can wear them like regular glasses if you want. They are very light and have padding around the eyes, but the padding isn't the best on the market so this is where you have to keep in mind that you get what you pay for even though they are a good deal for the money. The goggles also tend to run a bit on the larger side so that is something to keep in mind before buying them. Be sure to keep in mind that the goggles are more in the spirit of wearing sunglasses so if you want a great deal of protection then this might be something to think about first. Overall they are a good buy if you are on a budget. So there are 2 great recommendations for keeping your eyes clear, and on the open road in front of you. Get your a pair today, and get lost tomorrow! Hope that after reading this article, you can choose the best goggle for yourself. Feel free to comment to let us know what you think and share it to bring interesting knowledge to others!